This book is a translation of the Dutch De Matrix Code. The Wachowski's 1999 film The Matrix has been responsible for a whole cottage industry of books. These include books that deal with the philosophical issues such as Christopher Grau (ed.) Philosophers Explore the Matrix OUP, 2005), William Irwin (ed.) The Matrix and Philosophy (Open Court, 2002) and More Matrix and Philosophy (Open Court 2005), Matt Lawrence Like a Splinter in Your Mind (Blackwell, 2004) Glenn Yeffeth (ed.) 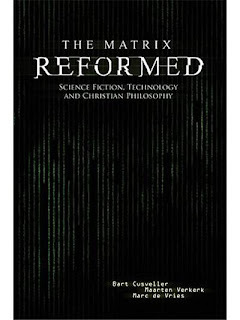 Taking the Red Pill (Benbella, 2003) and books which use the film to explore Christian themes such as Steve Couch (ed) Matrix Revolutions (Damaris, 2003), Gregory Boyd and Al Larson Escaping the Matrix and Chris Seay and Chris Garrett The Gospel Reloaded (Pinon Press, 2003). And now we have this volume. Is there room for another one? For one as good as this book - undoubtedly! This one is head and shoulders above the rest. It takes seriously film, science fiction, technology and philosophy. But not only that it provides an excellent introduction to a Christian philosophy. But it doesn't do it in a superficial, icing on the cake or WWJD approach. The Matrix raises many of the perennial philosophical problems such as the nature of reality, freedom or determinism, machines and moral judgments. These are dealt with in this book in a clear and concise manner. They examine how the issues are raised in the film, they then look at how the issues have been dealt with in philosophy looking at philosophers such as Plato, Descartes, Dennett, Putnam, Heidegger. They expose how unsatisfactory such approaches have been and then develop a Christian approach to the issues. They do it in a way that is accessible and illuminating. 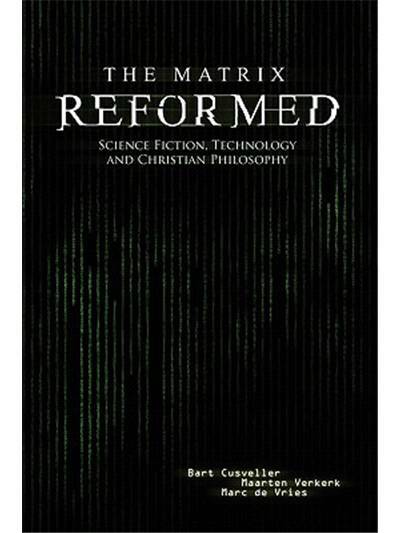 The book then works on a number of different levels: it is a great discussion of film in general, The Matrix in particular and other science fiction films (mentioned alongside The Matrix are Star Wars, Star Trek, Total Recall, Minority Report, Simone, Final Cut and many more); it acts a primer on philosophy and on Christian philosophy. This book will undoubtably be of value to anyone studying media or philosophy and to anyone who has seen the film!